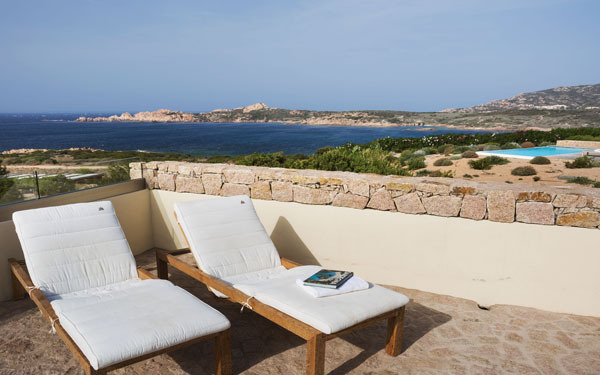 Elegant and sophisticated villas that are ideal for summer holidays in the North of Sardinia with panoramic views over Isola Rossa and the Golfo dell’Asinara, for unforgettable holidays by the sea. 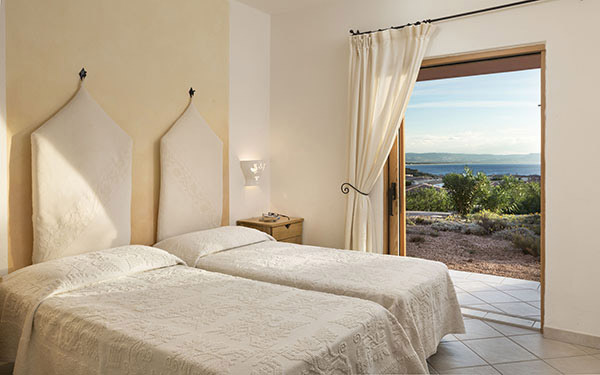 The Torreruja Villas at Isola Rossa guarantee independence, privacy and all the facilities offered by the Hotel Relax Torreruja. 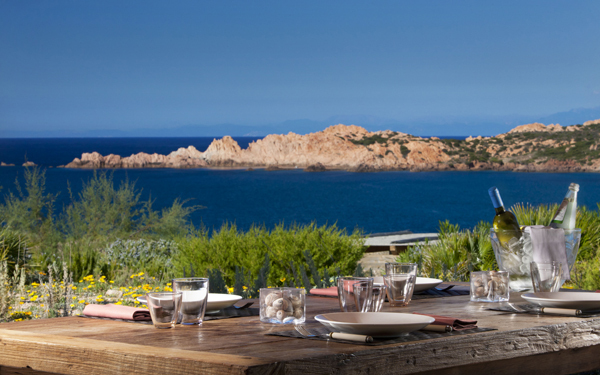 This is an exclusive way to spend holidays in Sardinia, a perfect holiday solution for couples, groups of friends or families. 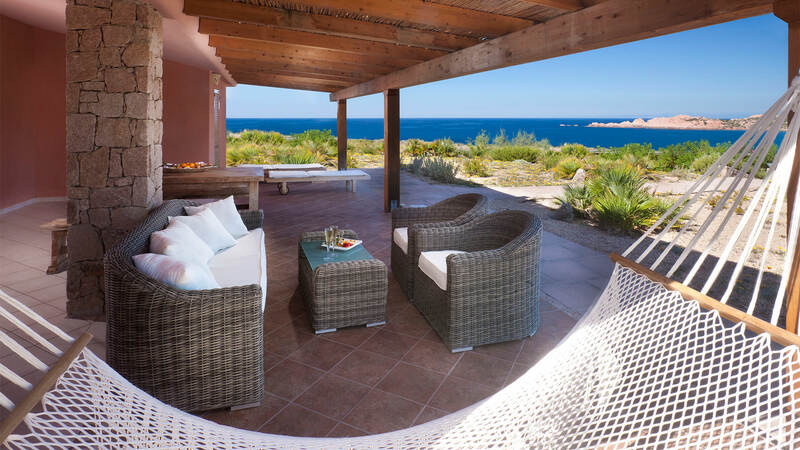 The Villas are about an hour by car from the ferry port and international Olbia-Costa Smeralda airport and Alghero-Fertilia airport and about 40 minutes from the ports of Santa Teresa Gallura and Porto Torres. 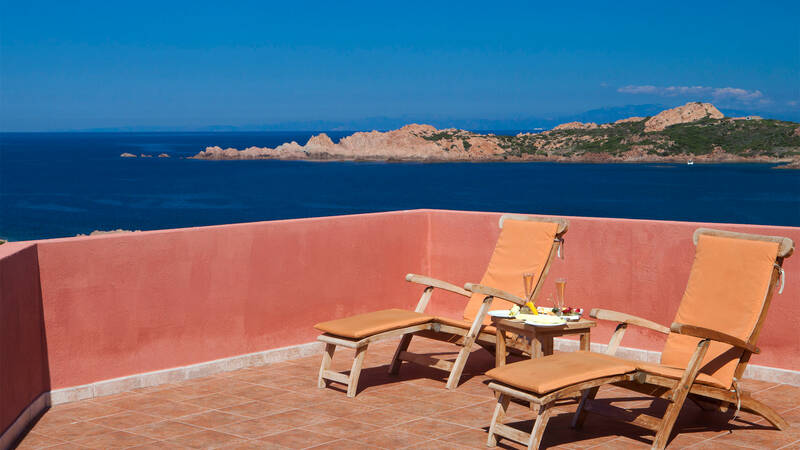 The charming little fishing village of Isola Rossa and its beaches of fine white sand can easily be reached on foot, while a few minutes by car or boat will allow you to discover the most beautiful beaches and bays of the West Coast of Northern Sardinia. 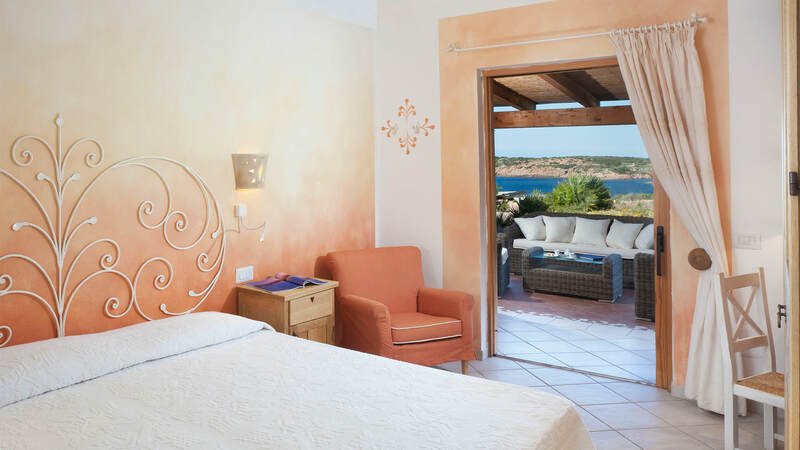 When you return the staff at the “Venere” Thalasso Centre & SPA will be waiting to pamper you or you can enjoy a refreshing dive into the hotel’s large seawater pool with its 180° view of the Golfo dell’Asinara. 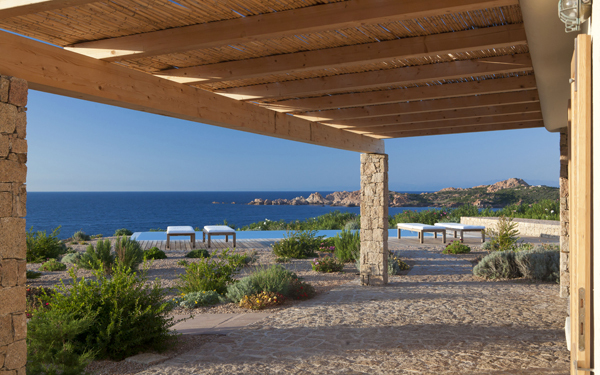 For those looking for a few hours of relaxation, there are exclusive and reserved bays of red rock with comfortable wooden sun decks on the rocks provided with mattresses and parasols. 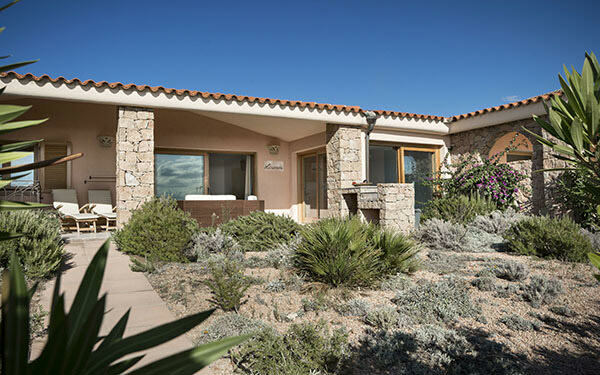 The Torreruja Villas are perfect for families looking for plenty of comfort and functional space. 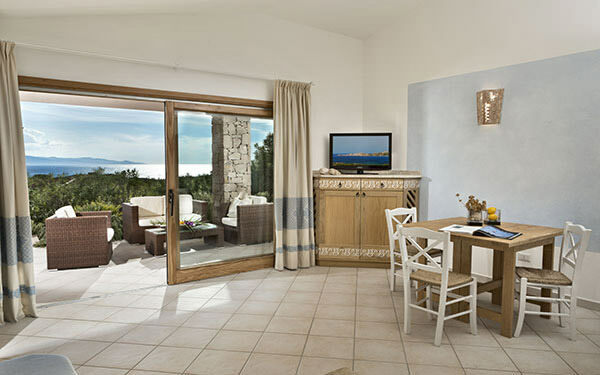 There is the option of booking breakfast and dinner directly in one of the two hotel restaurants (extra charge for this service). 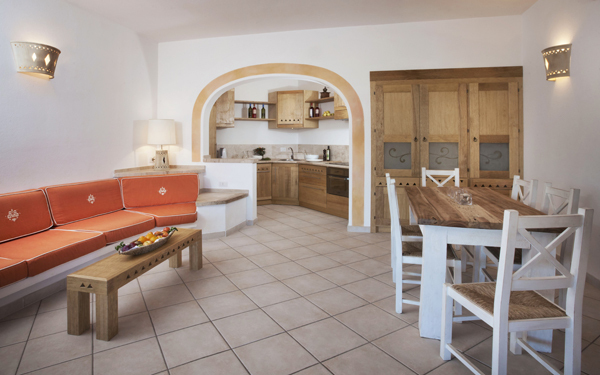 All the Villas are provided with air conditioning, safe, telephone, hair dryer and kitchen equipped with oven, dishwasher, coffee maker, TV and DVD reader. 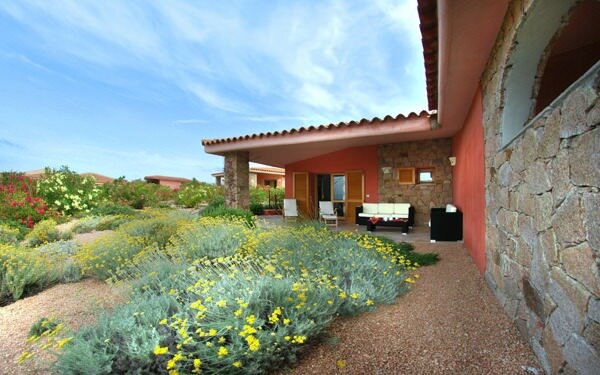 There is a large veranda equipped with coffee table and easy chairs, patio with barbecue, table and chairs. 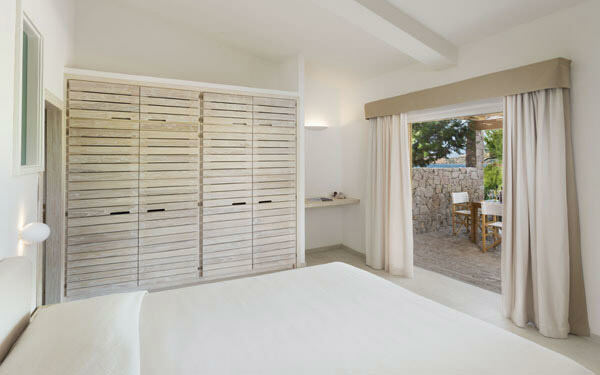 Complimentary beach towels and bathrobes for adults. Free cot and high chair if requested when booking. 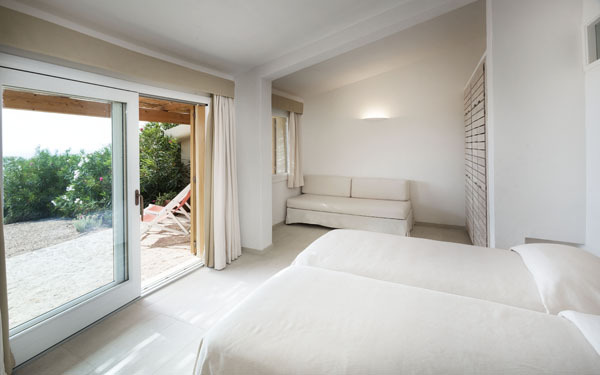 These villas are elegantly furnished and have a bedroom with double bed and a second bedroom with twin beds, bathroom with shower, living room with comfortable built-in single sofa bed able to sleep a fifth guest up to 13 years, plus a cot for a child up to 1 year if required. 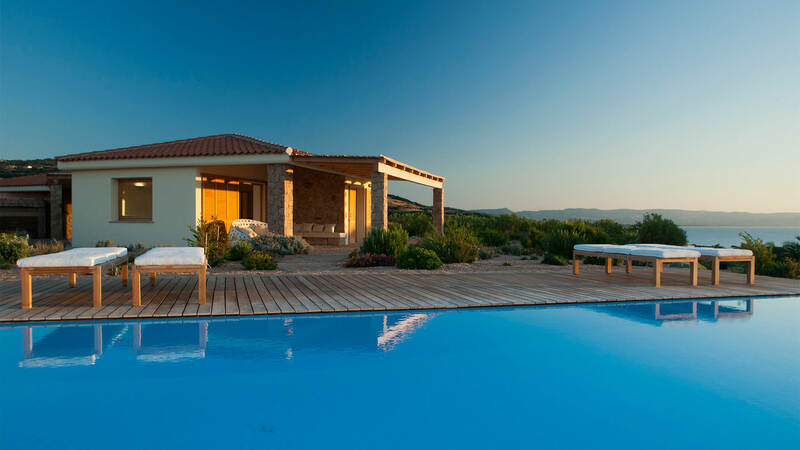 Decorated in fresh Mediterranean style, these villas have a bedroom with double bed and a second bedroom with twin beds, bathroom with shower, living room with two built-in sofa beds or two single sofa beds. 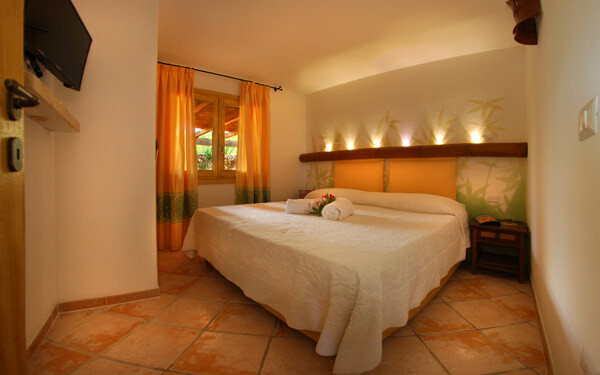 They can sleep a maximum of six guests plus a child up to 1 year. 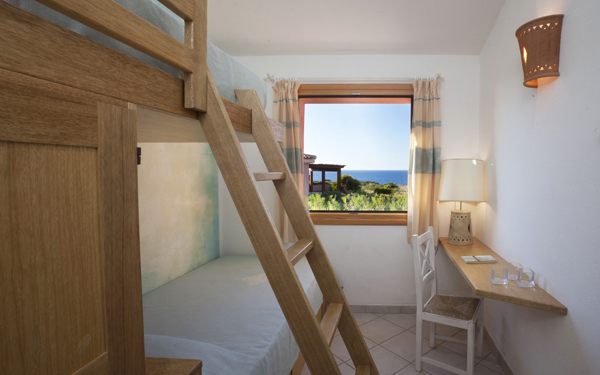 On request it is possible to accommodate a child up to 11 years as 7th bed in some villas typology B. Featuring a more exclusive decor, it has a bedroom with double bed, a second bedroom with bunk beds, a bathroom with shower and living room. 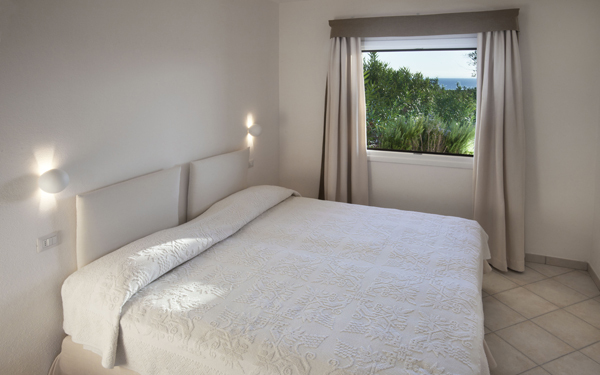 Another adjoining bedroom with independent entrance has a double bed and bathroom with shower. 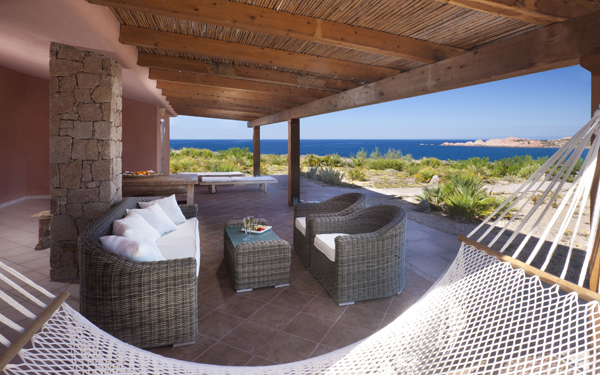 There is a large veranda with hammock and a roof-top solarium with sun loungers and a sea view on several sides. 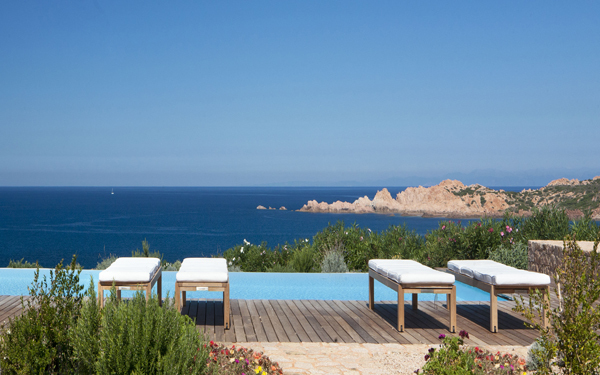 The villa can sleep up to six guests plus a child from 0 to 1 year in a cot. 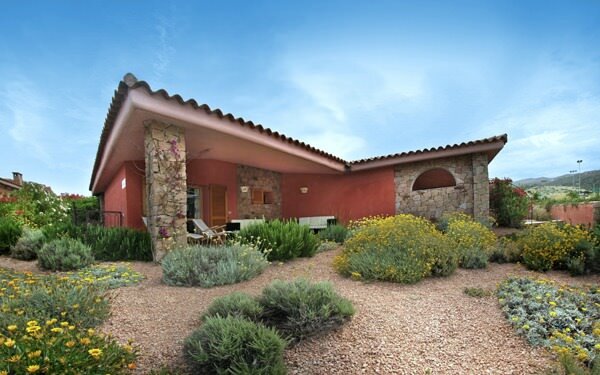 Prestigious villa with private swimming pool, offering a bedroom with double bed, a second bedroom with twin beds and a single sofa bed, both rooms having their own bathroom, plus a living room with built-in sofa bed able to sleep a child up to 13 years, as well as a cot if required for a baby from 0 to 1 year. 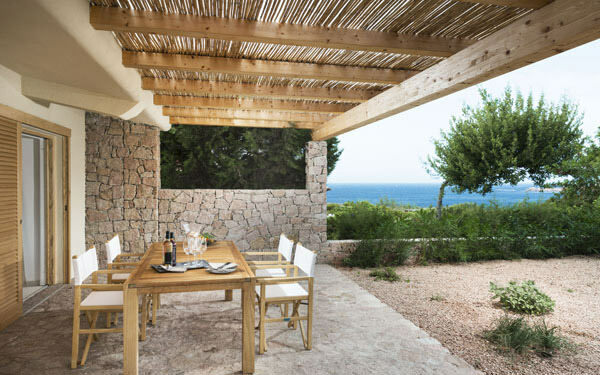 There is a barbeque and spacious verandas front and back. 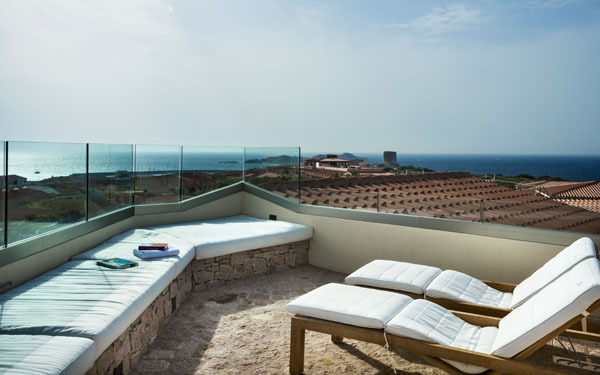 Fully equipped roof-top solarium with built-in sofa and big sunbathing cushions allow you to enjoy a sea view on several sides. 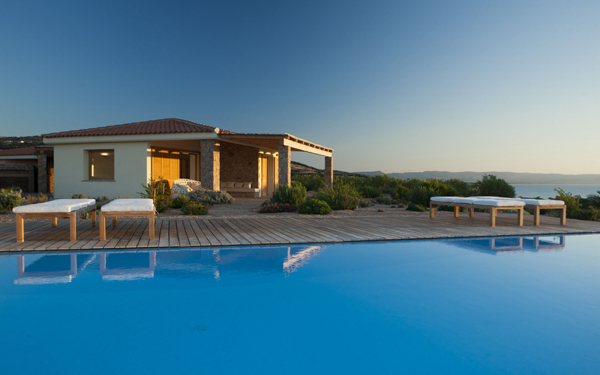 An elegant and sophisticated villa with private swimming pool, it has two double bedrooms (twin beds available on request), each with its own bathroom, plus a spacious living room. 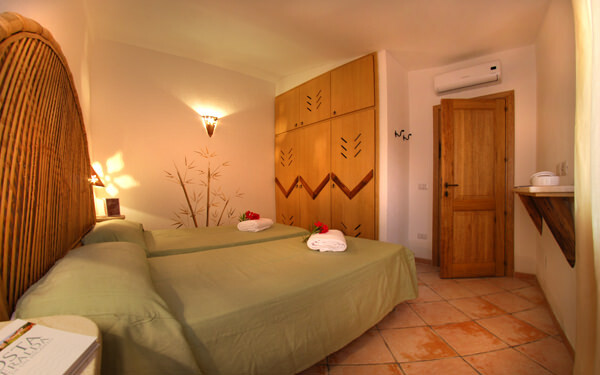 Another adjacent bedroom with double bed has an independent entrance and its own bathroom. 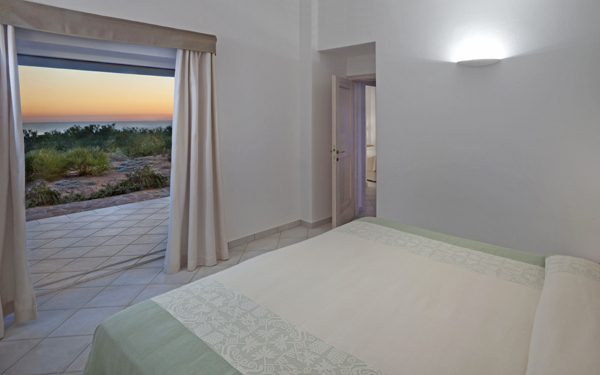 The villa can sleep up to 6 guests plus a cot for a baby from 0 to 1 year. 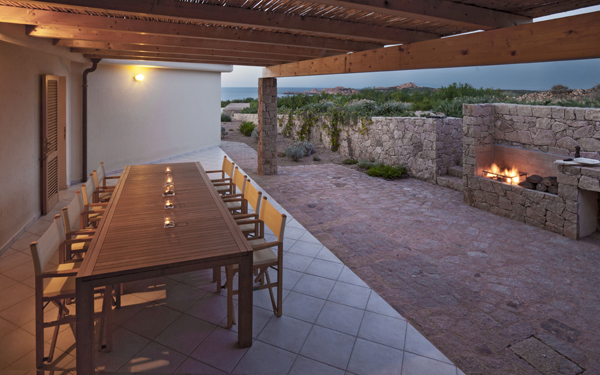 There is a barbeque and the spacious verandas front and back allow a breathtaking sea view out over the Golfo dell’Asinara. 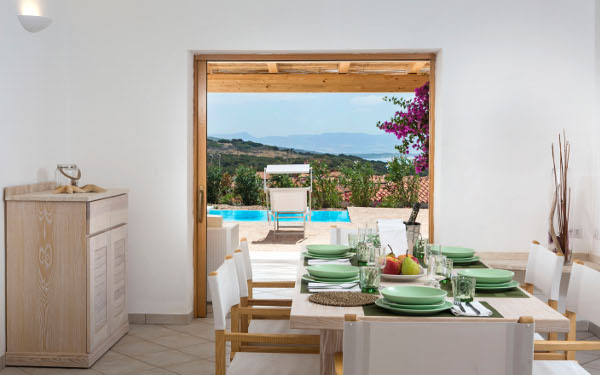 Brand new Villa with sea view and a private swimming pool, it has two double bedrooms, or twin beds available on request, two more bedrooms with twin beds, four bathrooms. Wide living room with a pull out sofa bed, a dining room and a kitchen. 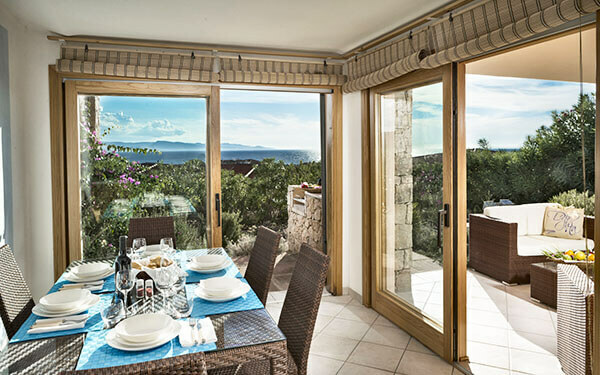 On the outside, back and front patios with lounge, dining table and barbecue. 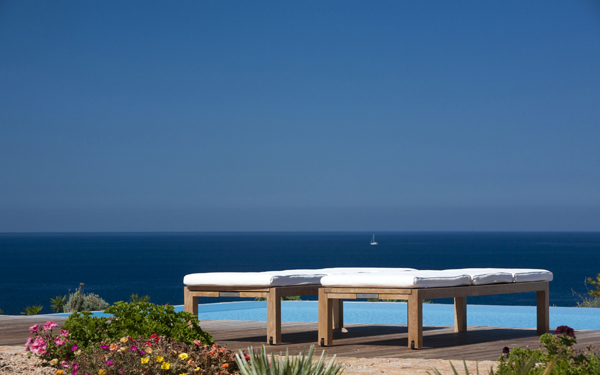 The villa can sleep up to eight guests plus two children up to 13 years and a cot for a child from 0 to 1 year. 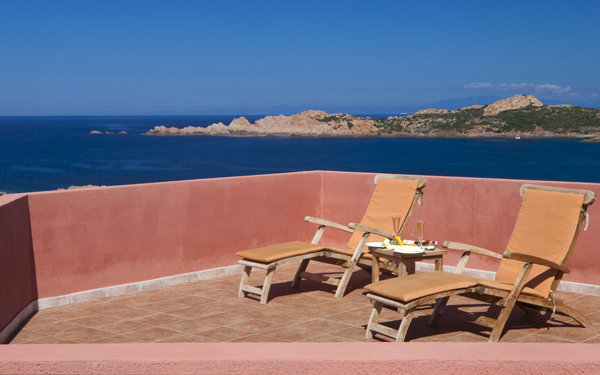 Discover the special offers for your villa holiday at Isola Rossa. 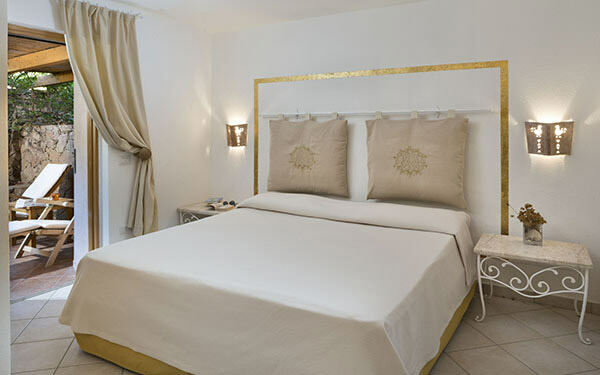 3 free entrances (half day, per person, reservation required ) to the Wellness Centre “Venere” with use of the multifunction reheated salt water Thalasso pool with its Hydromassage water jets, sauna, cardio-fitness gym, Turkish bath and relaxation area. The hotel’s opening dates may be different from those published. 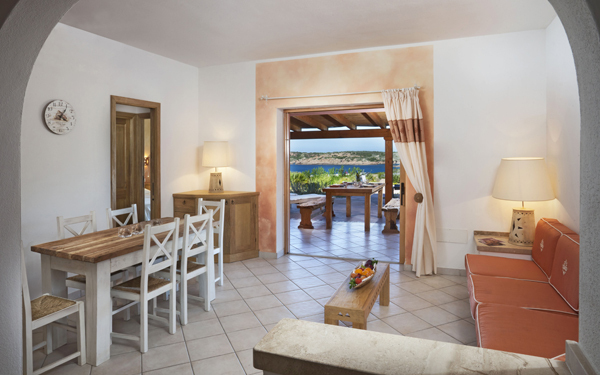 Should this be the case, guests staying in the Villas can make use of the services and facilities at the Hotel Marinedda Thalasso & SPA 5 star a few hundred metres away. Utilities: € 63.00 per week per person for water, gas, electricity, linen (bed/bathroom: 1 set of bed linen and 2 bathroom sets, kitchen linen not supplied). 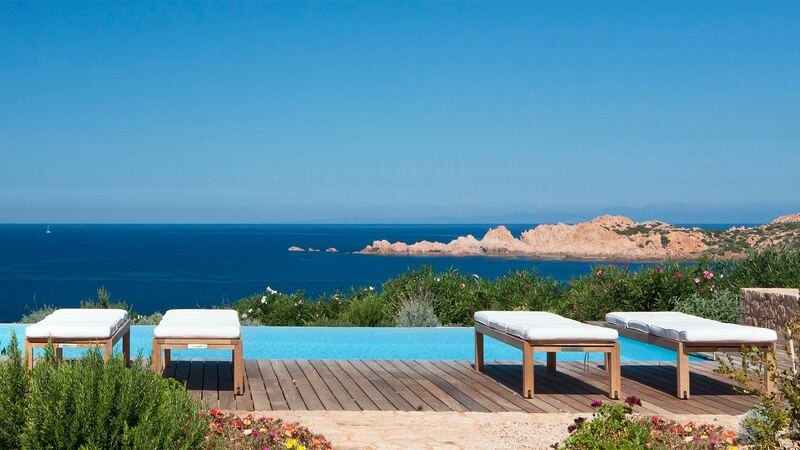 Complimentary beach towels and bathrobes for adults. Children aged from 0 to 1 year free. 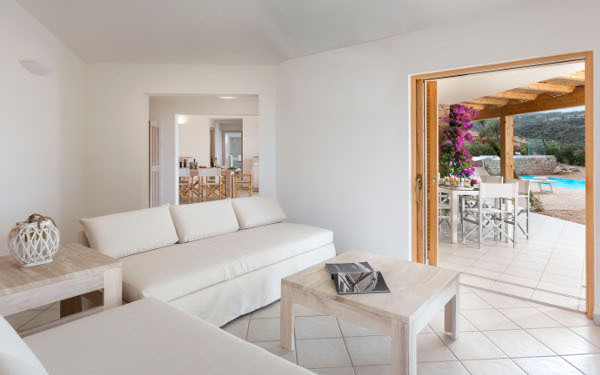 Final cleaning: € 130.00 for Villa Type A, Type B and Villa Lisandri, € 150.00 for the Gli Olivastri and Romasinu Villas, € 170.00 for Villa Canneddi and € 200.00 for Villa Le Pleiadi. 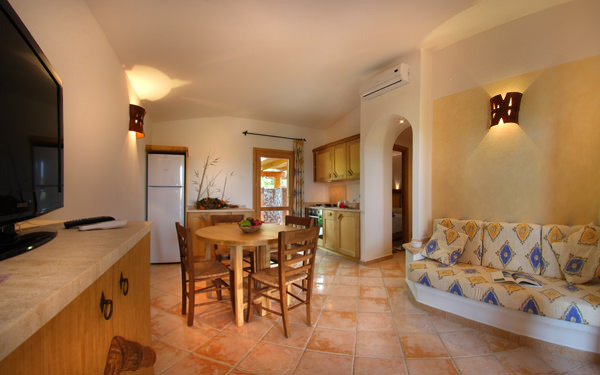 The fridge, kitchenware and cooking area should be left clean on departure or € 60.00 will be deducted from the deposit. 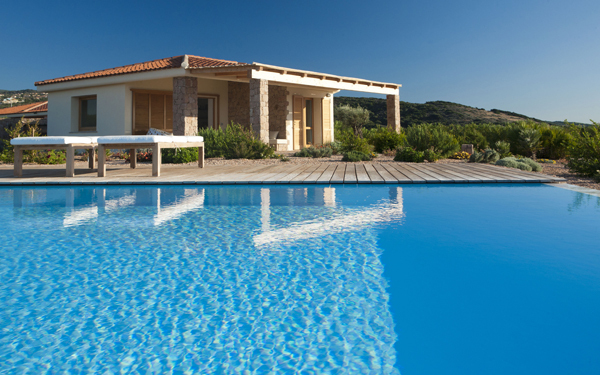 Midweek cleaning (optional) to be requested and paid for on site: € 60.00 for Villa Type A, Type B and Villa Lisandri, € 70.00 for the Gli Olivastri and Romasinu Villas, € 80.00 for Villa Canneddi and € 100.00 for Villa Le Pleiadi. Just 200 metres from the Hotel Relax Torreruja in the village of Isola Rossa there is a public beach with beach service offering parasols and sun loungers (payment required), shops, pizzerias, bars with live music, evening markets, tennis courts, five-a-side football, diving, car, dinghy and pedalò hire. 2 kms away there is Aqua fantasy, a watersports park with fun for all the family (outside operator).